“Entropy” exists as a combination of images within a gallery space. 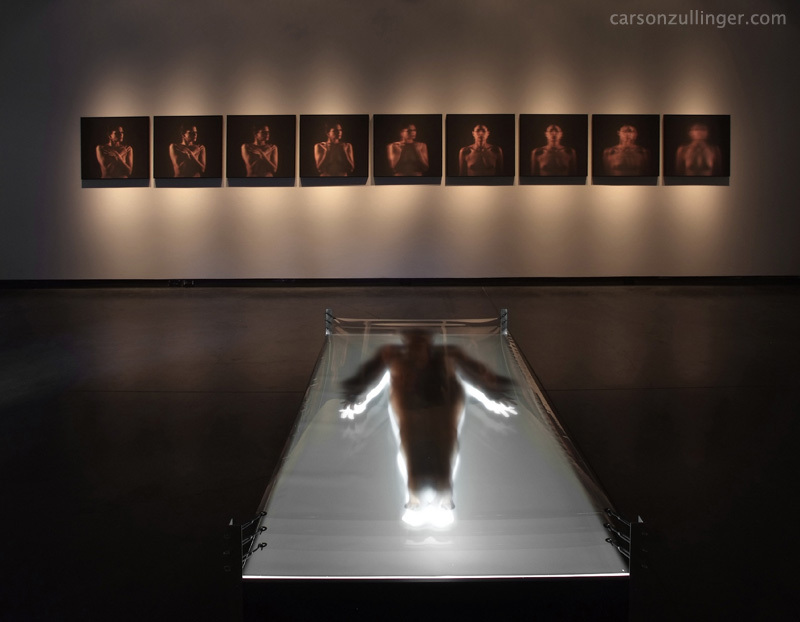 It includes a floor construction—an image of a figure split into physical layers and backlit—and multiple photo pieces hung on the walls. It was shown in my larger exhibit, also called “Entropy,” in 2014 at the Delaware Center for the Contemporary Arts. The central floor piece is a self portrait. 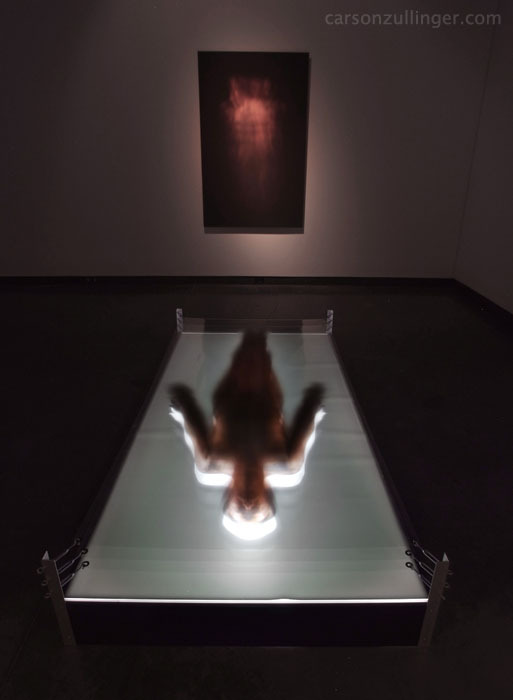 This installation deals with the ephemeral nature of existence and reality. In science, entropy deals with measuring the equilibrium in a closed system. In popular culture, it is looked at as a metaphor for chaos, disorder, or dissipation of energy. I am exploring ideas that suggest other views of reality: Are there other realities that exist? I believe the classic view of a closed system is much too simplistic a model to live our lives by.